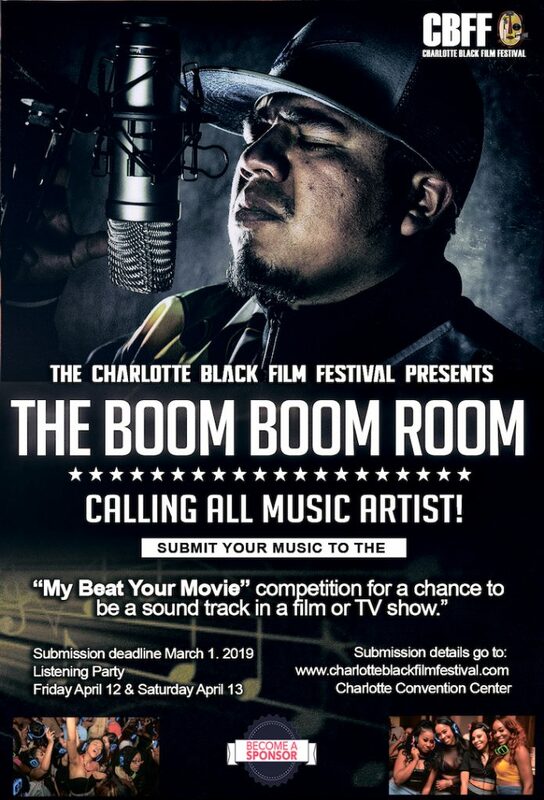 Welcome To "THE BOOM BOOM ROOM"
The “My Beat your Movie” competition is where we are asking all music artist to submit your best-produced song any genre Rap to Rock, RnB, to Country and Gospel to Pop. The song you think would be good in a Film, TV show or a TV commercial. Official music selections will be played for 2- days at the Charlotte Black Film Festival in the Charlotte Convention Center on April 12 and 13, 2019. 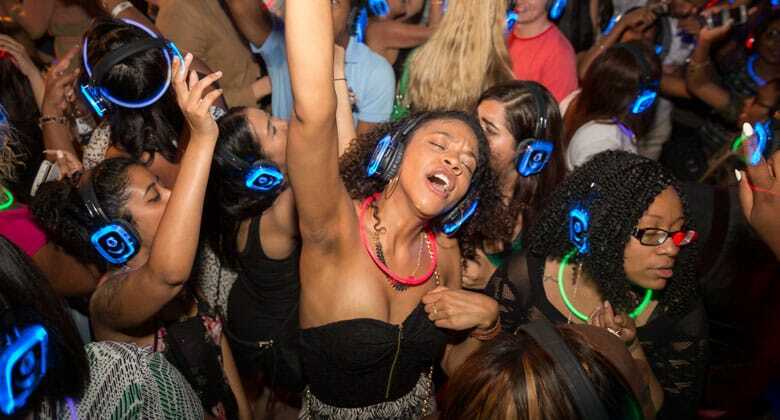 Attendees will listen and rate your song in the Boom Boom Room. This is a great way to promote your music and you as an artist to the general public, film producers and the creative community. 12 – 15 artist will make the final cut to “The Boom Boom Room” and will be announced at the CBFF pre-release event. The will be announced at the Red Carpet Vision Awards April 13, 2019, at the Charlotte Convention Center. 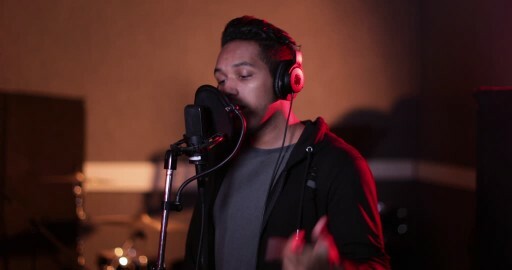 The song you think would be good in a Film, TV show or a TV commercial. Official music selections will be played for 2- days during the Charlotte Black Film Festival at the Charlotte Convention Center on April 12 and 13, 2019. 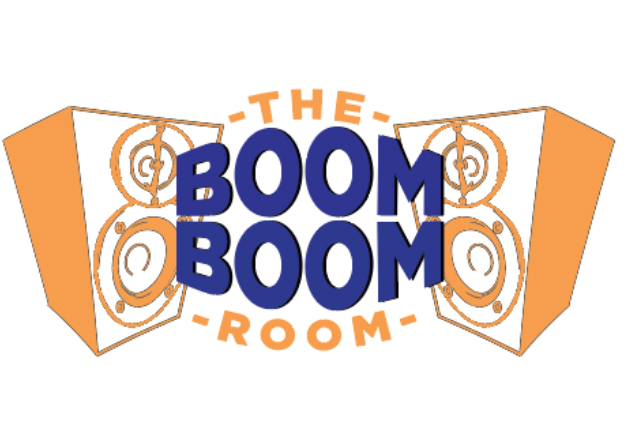 Film Producers , Director and Attendees will listen and rate your song in “The Boom Boom Room”. 15 artist will make the final cut to “The Boom Boom Room” and will be announced March 1st, 2019. Three winners one for TV, one for Film and one for Digital Media (Advertising,Gaming, Etc.) will be announced at the Red Carpet Vision Awards April 13, 2019, at the Charlotte Convention Center.This is a great way to promote your music and you as an artist to the general public, film producers and the creative community. People’s Choice winner will be determined by a public voting system. Voting will take place in THE BOOM BOOM ROOM. All winners will be announced at the Red Carpet Vision Awards. Music for Film Music for TV Music for Digital Media ( advertising/commercials/gaming/ etc. 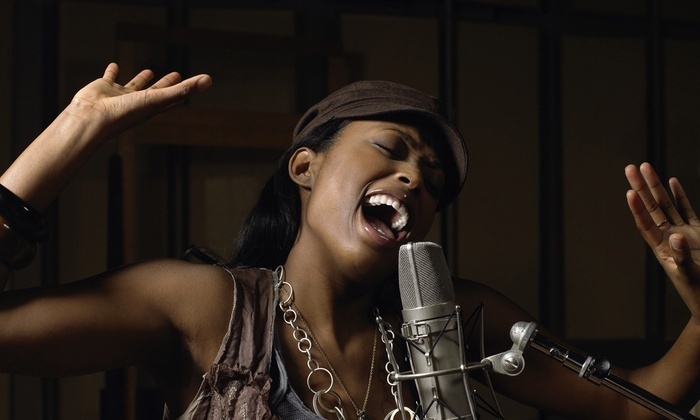 The 9th annual Charlotte Black Film Festival provides an empowering platform for Artist to to showcase their music to Film Producers, Directors and the general public, for many, this event will advance your career opportunities and increase your exposer as a music producer and/or Artist.